On Sale Now! Save 2% on the EGO Power+ STA1500 15-inch String Trimmer Attachment for Ego 56-Volt Lithium-Ion Power Head System by EGO Power+ at Go Plots. MPN: STA1500. Hurry! Limited time offer. Offer valid only while supplies last. Add the EGO string trimmer attachment to your EGO Power+ Power Head PH1400 (available separately) for convenient & efficient trimming around the yd. 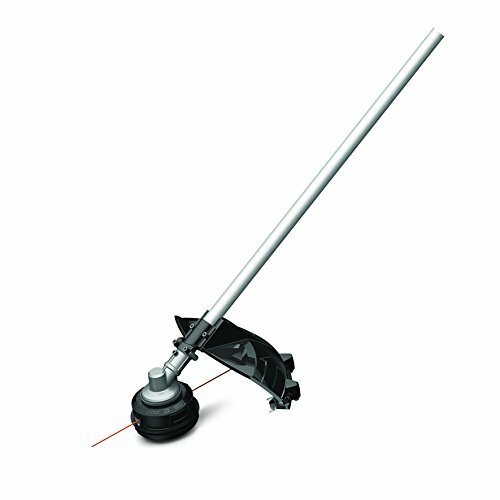 Add the EGO string trimmer attachment to your EGO Power+ Power Head PH1400 (available separately) for convenient & efficient trimming around the yd. The# 1 customer complaint with any string trimmer is line replacement. Ego has taken this pain pt. Away with the new EGO 15 in. Rapid reload trimmer head. Rewind your line faster & easier with this new & improved trimmer head. Feed the line into the head & simply twist the head until the trimmer line is fed all the way through. The 15 in. Cutting swath, bump-head line advancement & professional-grade 0.095 in. Cutting line deliver professional grade results. Ego attachments are designed specifically for your EGO Power+ power head system & offer the highest quality, performance & value. Powered by the industry's first & most advanced 56V arc lithium battery (available separately) the EGO multi-tool range delivers the power & performance of petrol without the noise, fuss & fumes.